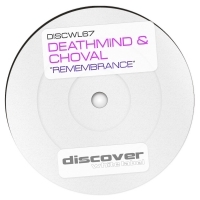 Discover Dark's Deathmind joins us for a one-off collaboration on Discover White Label with fellow Argentinian producer Choval. It's dark, brooding and filled with remembrance and feelings of nostalgia and perfect for Discover White Label. 'Remembrance' is available now from Beatport and iTunes.